DUE TO LOW PARTICIPATION, WE NO LONGER MAINTAIN THE ONLINE STORE. PLEASE SHOP FOR OUR PRODUCTS AT THE FARMERS’ MARKET OR THE BEREA COLLEGE BOOKSTORE. STAY UP TO DATE WITH US ON FACEBOOK. 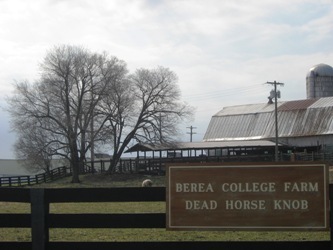 Welcome to the Berea College Farm Online Store! Berea College Farm serves as a laboratory to provide students with practical learning experiences while engaging them in enterprises that exemplify sustainable agricultural production in the region. You can support the educational endeavors and hard labors of these students while you enjoy the high quality products of their farming efforts! Who can buy from and become a member of the Berea College Farm Online Store? If you live close enough to pick up your order at the Berea Farmers Market in Berea, Kentucky (see below for seasonal time and location changes) you may order from our Farm Store. All members of the Berea community, Madison County, and Berea College community are encouraged to become members and make purchases. The Berea College Farm Online Store is for ordering only. We collect payment for purchase when the item is picked up. Your order will be pre-labeled and an invoice will be ready for you at the time of pick-up. We accept cash, EBT, and personal checks written to: Berea College Agriculture at the pick-up location. When may I place an order and where do I pick it up? Orders must be placed by Tuesday at 8:00 am for pick-up at the market on Tuesday between 4:00-6:00 pm OR Friday at 8:00 am for pick-up at the market on Friday between 4:00-6:00 pm. Parking available in the back via Hospital Drive. From Downtown Berea, take N.Main Street (Highway 595) towards exit 77. The Goldthwait Agriculture and Natural Resources building is on the right at the crest of the hill. To park, continue down the hill past the building and turn right in the lower lot; come up the stairs to the pavilion. If you cannot climb stairs, take Estill Street (25 North) turning left into the hospital drive, turning left on the first available driveway to come in behind the ANR building. Parking is available behind Promenade Gallery and behind Boone Tavern.